So I’ve been thinking of the best way to start this post off as it was such a chilled out trip and we didn’t actually end up doing a lot. I don’t have much to say apart from the fact that I had an amazing time and coming home was not fun at all. 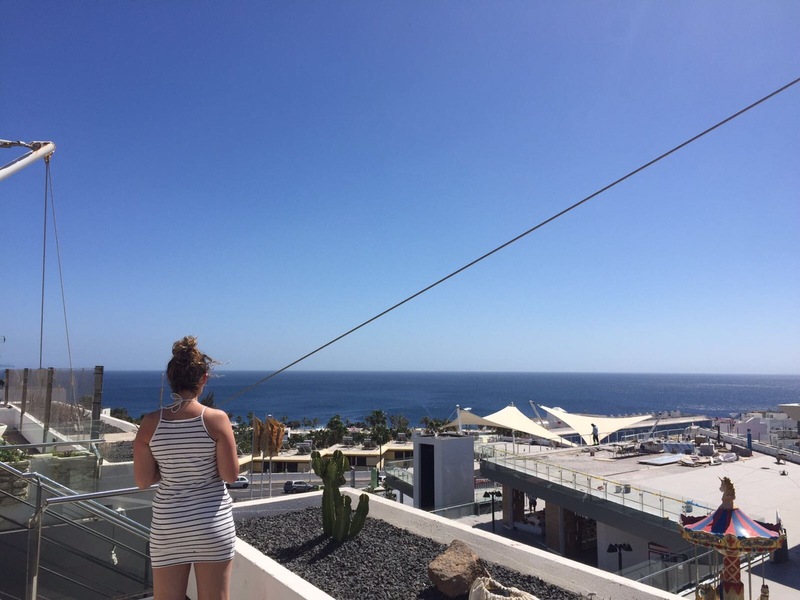 My family and I flew out to Lanzarote from Birmingham airport (never again). The flight out was nothing but stress – we nearly missed our flight and ended up running for our plane, to find out it was delayed anyway. So yeah, it wasn’t the best flight out. I was kind of skeptical about going abroad around this time of year because of the weather but when I tell you the weather was gorgeous, it was genuinely beautiful! I guess there Spring is like our ‘good’ Summer’s. I would definitely recommend visiting this time of year because of the weather. It’s not too hot or too cold but just right. It could have been slightly hotter but tbh it was nice enough to lie there and not be dripping in sweat. We stayed in a villa in Playa Blanca, which is around 45 mins from the airport. The island itself was really quiet, I don’t know if this was because it’s April or whether it’s just the land of OAP’s but hey ho it was nice and peaceful. We spent most days just chilling by the pool and filling up on carbs (basically lived off of bread) which was great. I’m literally a water baby though and managed to make my way to the beach most days and get in the sea – bearing in mind the sea was about -1000 degrees. I swear it was so difficult trying to drag Jamal in with me every time, but he finally joined me on the last day (yaasss). After a couple of days I was itching to get out and explore so we decided to take a bus ride and visit Puerto Del Carmen. It was about a 30 min bus ride, so not too bad. It had a small shopping centre and a few quiet beaches. I think the shopping centre was the best part because everything was sooo much cheaper. I managed to grab myself a bargain on a £50 zara jacket which I got for £35 – basically says everything. My mum and dad showed me and Jamal this small beach on our last day which they’d discovered before. It wasn’t anything spectacular but was tucked away and had barely anyone on it (I much prefer quiet beaches to hectic) so we ended up staying here for most of the day, sunbathing and taking selfies lol. We also visited Papagayo beach, which was definitley an experience. It’s meant to be one of the most beautiful beaches in Lanzarote? Hmmmm I wasn’t quite sure, tbh it looked no different to the others. We was all kind of disappointed when we got there. 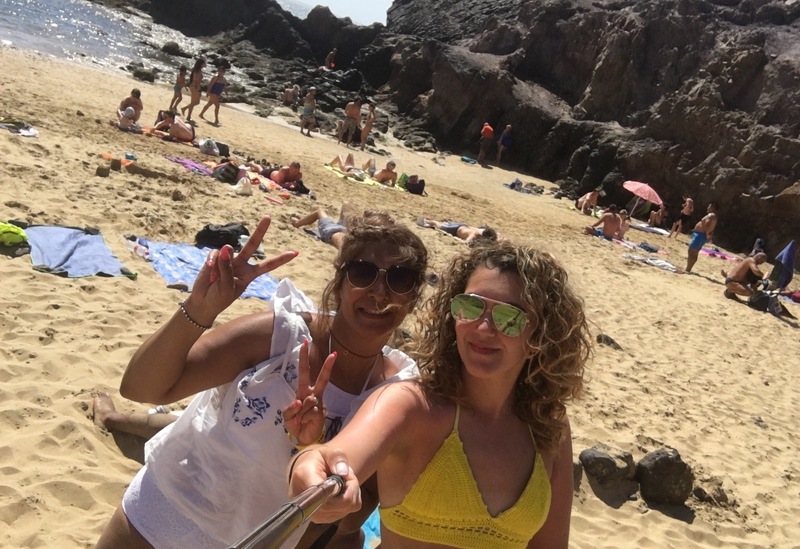 I think the best part was the journey there – we had to get on a speed boat to the beach, which was definitley an experience for my mum. She’s literally the worst for doing anything slightly out of the ordinary so the thought of getting on a speed boat nearly tipped her over the edge, but she did it (grabbing me the whole way). I would recommend visiting just to see what it’s like but I wasn’t personally blown away like I was hoping to be. I think I could waffle on and on about what we did and where we went but most of the time I was just eating and sunbathing so it won’t be very interesting! Overall it was a lovely trip and I had such a nice time spending quality time with my family. It really made me realise how nice it is to spend time together – which we don’t get to do a lot. It’s nice to just take time out and appreciate everyone’s company while you can. As for Lanzarote? Well I would definitley go back to Lanzarote if I ever wanted a quick get away but not any time soon. Roll on Mexico with my babes!!! Next Next post: 3 ingredient HEALTHY pancakes!